Republican candidate for Congress Chris Balkema - who is running against Darlene Senger for the GOP Nomination with the winner ultimately taking on Democrat Bill Foster - announced his latest endorsement this morning. And it is a doozy. 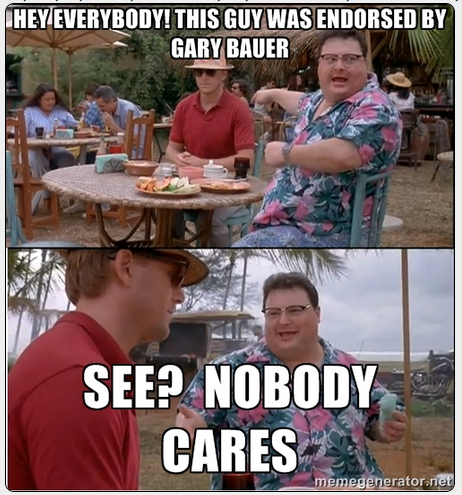 Chris Balkema, a candidate in the 11th congressional district GOP primary announced he has been endorsed by former U.S. Presidential candidate Gary Bauer. Was Andy Martin too busy?